The image shows the rewiring of socket placement in a domestic kitchen. 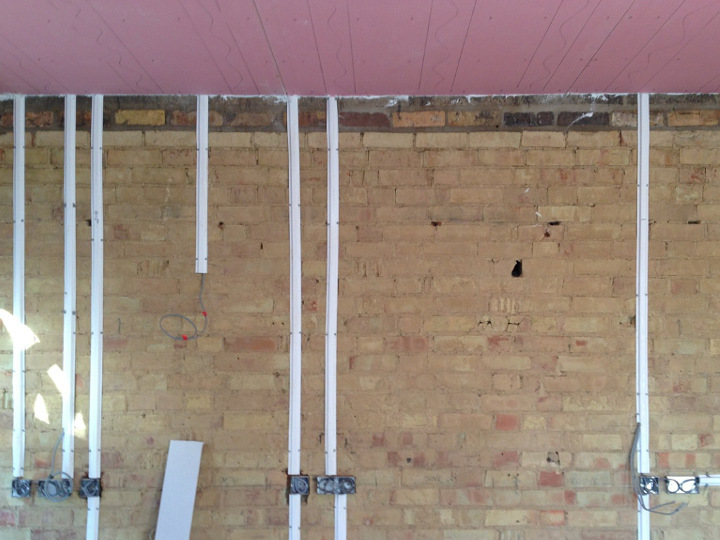 The image demonstrates the difference between the in-progress and the completed rewiring of the kitchen. We also complete commercial projects whether confirming appliance safety in the office environment or completely rewiring a small office for new lighting and socket placement. Our list of skills demonstrates the type of work we take on and complete to the highest of standards. To request a quote please go to our contact page and use your preferred method of communication. 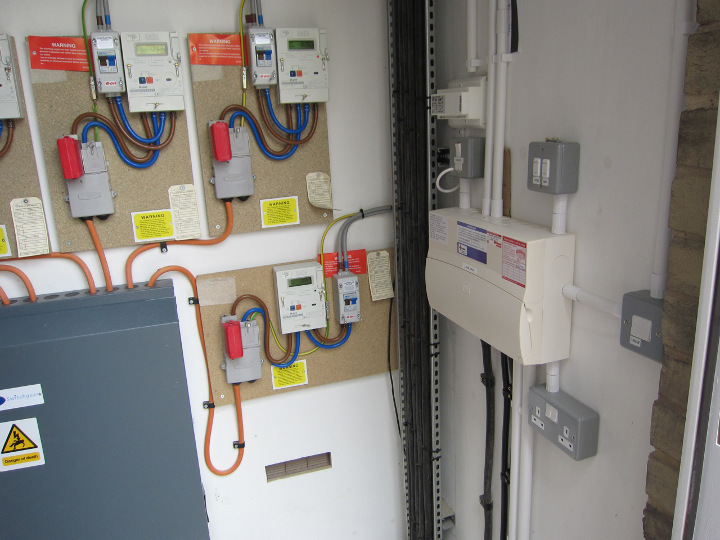 Our recent work includes a full electrical rewire of 11 flats stripping out all of the previous work and installing power, lighting and heating circuits throughout the buildings. 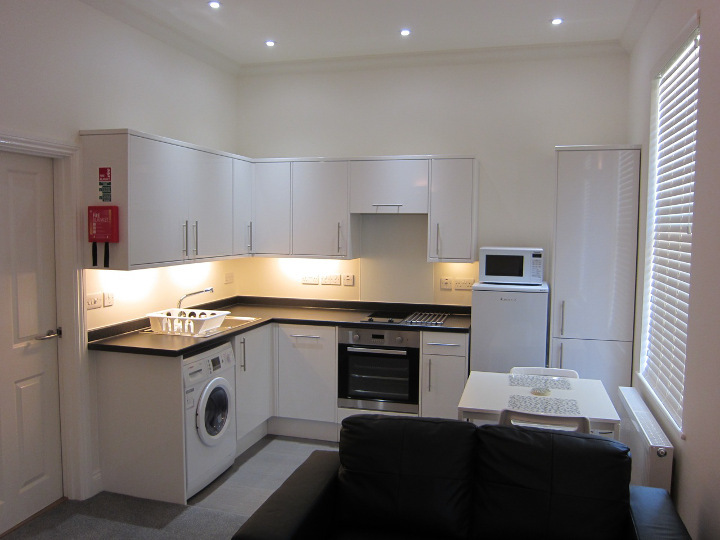 Domestic work such as modern kitchen refurbishment with new lighting and electrical socket movement. All the new fittings were fully safety certified. Commercial work completed includes installation of new supplies to air conditioning units.